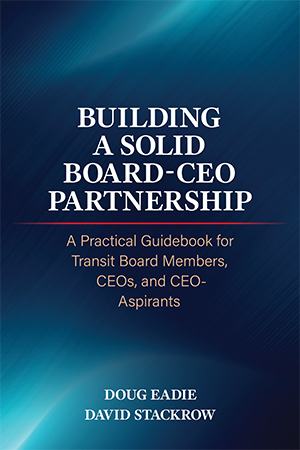 Certainly the two extraordinary CEOs whose podcast is featured in this post – Alex Clifford of the Santa Cruz Metropolitan Transit District and Nat Ford of the Jacksonville Transportation Authority – are dedicated and seasoned travelers on the CEO leadership improvement road. In their informative new podcast, Alex and Nat talk about the initiatives they’ve taken in the recent past to strengthen their CEO leadership skills and the self-improvement steps they’re contemplating down the pike. For example, Nat has been going through a pretty systematic process of updating and sharpening his CEO leadership skills that is driven by an improvement plan with specific targets based on a formal skills assessment he put himself through. 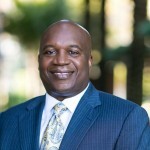 One of his key targets has been to strengthen his listening skills, in dealing with Board and staff members and key stakeholders, and looking ahead, he sees himself honing his role as JTA’s “Chief Innovation Officer” – moving beyond a focus on operational excellence to leading system-wide development and growth. 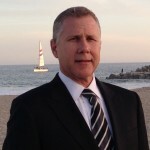 And Alex, who fairly recently took the helm in the Santa Cruz system, has focused heavily on the “Chief Relationship Builder” role of the CEO, cementing ties with his Board and executive team members and key stakeholders. Looking ahead, he sees “more of the same” since he well knows that building and maintaining key relationships is a preeminent key to CEO success – and certainly the equal of technical competence – especially in his situation: not only new on the job but also following a CEO who’d served for 18 years. When you think about it, you can’t help but be inspired by two seasoned CEOs with illustrious careers like Alex and Nat who see continuous professional growth as both a top CEO priority and a never-ending journey.